It's 2015 and what's old is new again. You may have noticed people posting status updates with a seemingly-legally binding message protecting their photos and profile information from copyright infringement. Due to the fact that Facebook has chosen to involve software that will allow the theft of my personal information, I state: at this date of January 4, 2015, in response to the new guidelines of Facebook, pursuant to articles L.111, 112 and 113 of the code of intellectual property, I declare that my rights are attached to all my personal data drawings, paintings, photos, video, texts etc. published on my profile and my page. For commercial use of the foregoing my written consent is required at all times. The notice is bunk, and recycled bunk at that. A similar hoax circulated in 2012, convincing users to copy and paste the message or risk opening themselves up to privacy violations. Then, as now, Snopes reports that the claims are erroneous, and moreover address a nonexistent problem: "Facebook isn't claiming copyright to the personal information, photographs, and other material that their users are posting to the social network." When this rumor first circulated a couple years ago, Facebook responded by clarifying that for any content covered by intellectual property rights, like photos and videos, users grant Facebook a nonexclusive usage license if you post publicly. The site makes it clear in its Statement of Rights and Responsibilities: "You own all of the content and information you post on Facebook, and you can control how it is shared through your privacy and application settings." 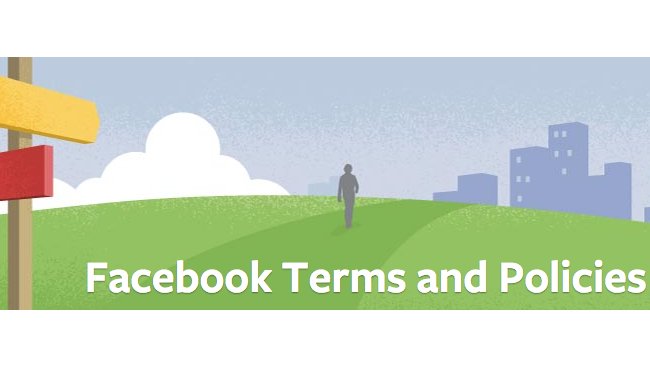 Facebook users can't alter the terms they agreed to by signing up simply by posting a message -- let alone one with no legal bearing.